With the right car, get up to 114 miles outta those fumes! 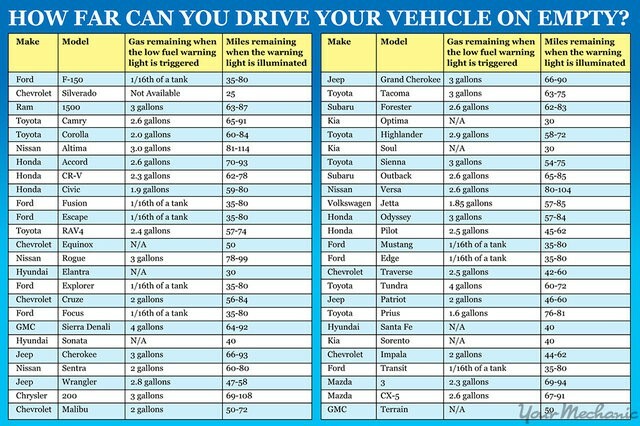 As someone who finds himself habitually driving with the gas light on, I find the below infographic very useful. Thanks to the fine folks at Your Mechanic, you now can see how many miles your car can actually drive after the gas light goes on before it really calls it quits. 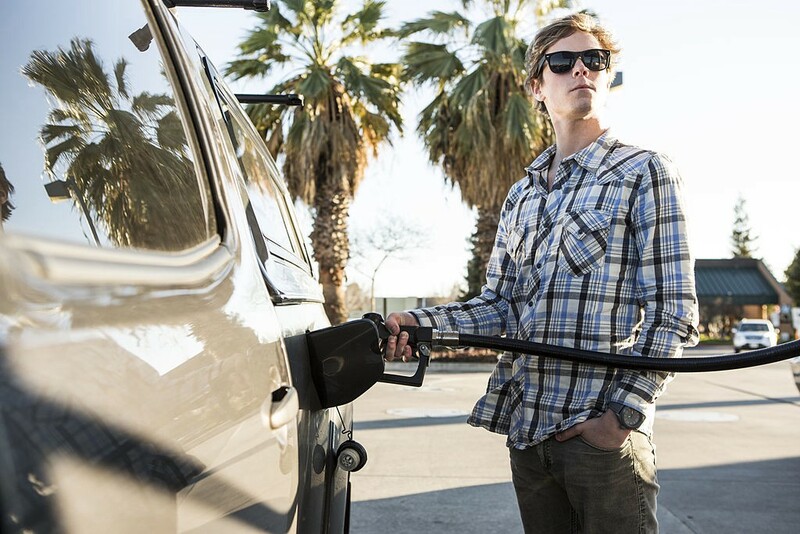 But it’s not just a cheat sheet for people who like to cut it close before refilling their tank. As Tony Maverick points out in Thrillist, “Driving with an [sic] low fuel level or worse yet, running out of gas, can actually damage your car.” While this infographic will help you avoid getting stalled on the side of the road, it is also a decent reminder to refill your car before you have to resort to calling Triple A. As you can see on the chart, the Chevy Silverado gets the least mileage after the gas light comes on, at 25 miles. Other cars, like the Nissan Altima, can continue to chug along for up to 114 miles before giving out on you, although it isn’t recommended to try and test these numbers. Your Mechanic provides some more tips and warnings in their blog post on this topic. Check it out here.